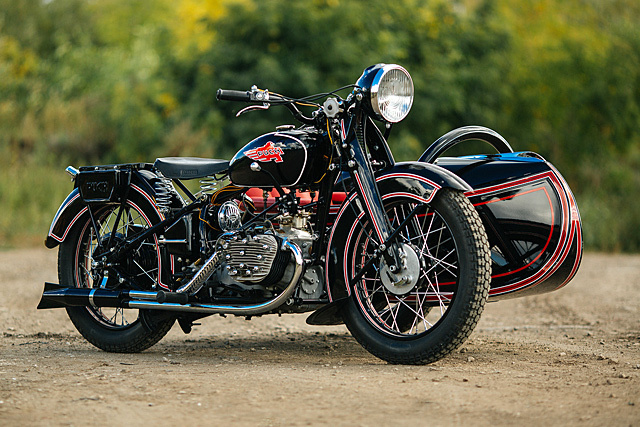 We love featuring bikes from Russia’s Motorworld because each and every one is like a script for the next Indiana Jones movie, just without the aliens and the flying refrigerators. Naturally, this amazing example of pre-war mechanical mastery is no different. One of only a handful of remaining examples, this machine has survived innumerable bullets, bombs and fascist bad guys to emerge looking like it was made only yesterday. 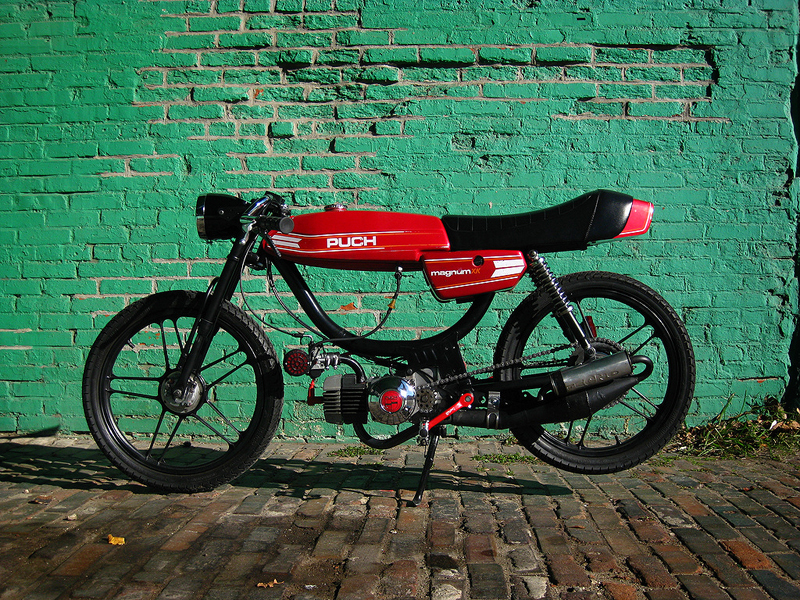 Meet the Puch P800. We all know that without getting kids into motorcycling the sport will go the way of the dinosaurs, Morris Dancing and Tiger Wood’s reputation. But what have you done about it lately? For Eduardo and Dani from Spain’s Russell Motorcycles, they’ve introduced their kids to the sideways glory that is flat tracking by building them a bike to do it on. 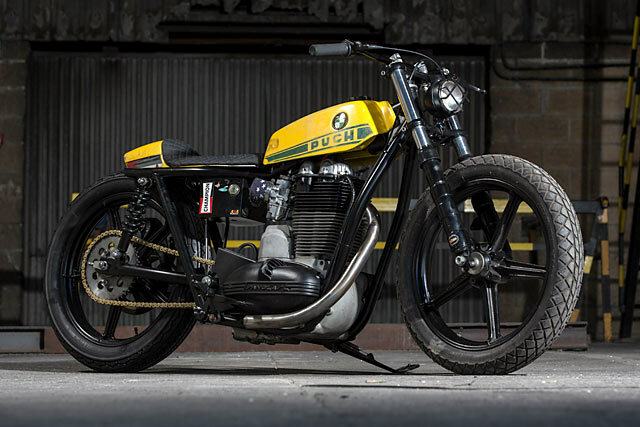 It’s a Sanglas/Puch/BMW mash-up that makes us want to get some dust in our faces. As most long-term readers will know, we’re always up for posting a sweet little ‘ped every now and then. 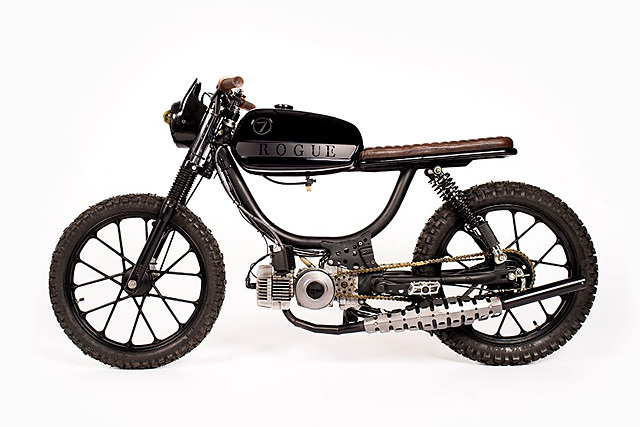 And that goes double for someone with the track record of Philly’s Austin Tremellen and his Rouge Builds moped shop. He cheerfully informed us that this, his latest build “is called ‘Sieben’ and was commissioned by the CrossFit superstar Chris Spealler.” We have almost no idea what that means, but with a bike that looks this good we’re happy to just sit back, smile and nod appreciatively. CrossFit… that’s like Motocross, yeah? Over the years, I have thought long and hard about the difference between mopeds and motorcycles. There’s the technical considerations regarding pedals et al – the whole “motor with pedals” thing that seems to be the most obvious seperator. Then there’s the licensing thing and the fact that in many countries you can jump on a moped with minimal intervention from “the man.” There’s also the lack of a cross-bar frame and the extreme economy of the typically minute moped engines that split the pack, too. But you know what I keep coming back to as the overarching difference that really defines the two? The sure-fire way to explain the difference to a laymen without risking any sort of misconbobulation down the track? It’s the fact that mopeds are just so beautifully svelte. Trawl back through the Pipeburn archives and you’ll notice that pretty much ever ‘ped we’ve ever posted has the most sublime minimalism – it’s enough to take your breath away. 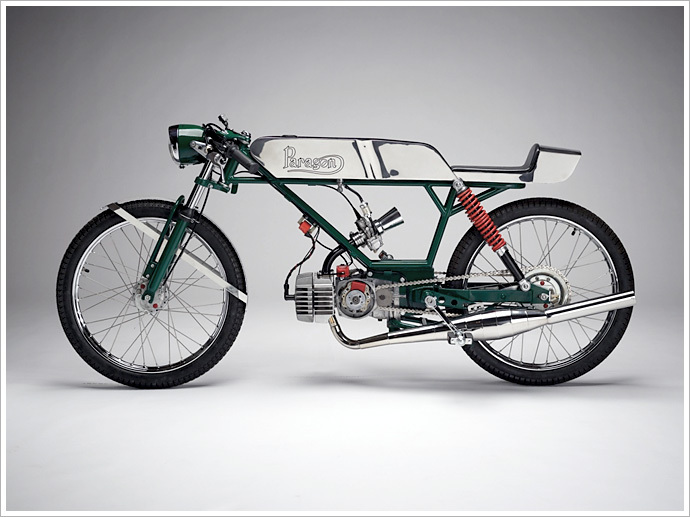 But you ain’t seen nothing yet – at least until you lay your eyes on our new model of minimal excellence, and pretty much the nicest ‘ped we’ve ever seen, The Paragon Puch from Janus Motorcycles. A wise man once said, “If a custom bike could be made with keyboards alone, there would be outstanding builds everywhere.” Now I’m pretty sure most people here would know what that means. Comments sections are the playground of armchair experts who talk the talk, but just can’t seem to ever put a spanner where their mouths are. And although we have our fair share of those types around theses here parts, I’m pretty damn proud to say that we also have guys like “Revdub”, a.k.a. Jeremy Dubish. He’s not only one of our top commenters, but he’s also a bastion of civility, positivity and constructive criticism. Now, while we are pretty thankful for him just showing up each day, we are uber stoked to be able to present a bike of his as well. Here’s his very sweet little “General Mayhem” Puch moped. Most people probably don’t know much about Puch Motorcycles but they happen to be one of the oldest manufacturers on the planet. Founded in 1889 in Austria they didn’t start producing motorcycles until the early 1900’s. Then 100 years after it was founded the Puch motorcycle company was sold to Piaggio, maker of the Vespa, who apparently still produce bikes under the name “Puch”. 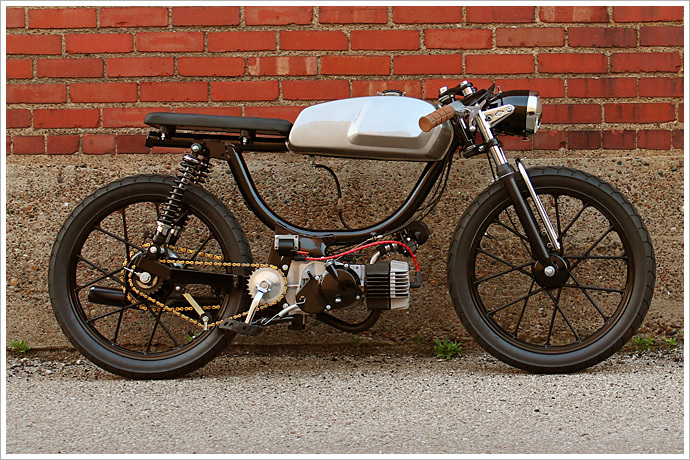 The pictured bike is technically a moped but there’s no denying it has some really nice cafe racer aesthetics.